Regina “Jean” Dolores (Posinski) Fong, age 81, of Troy, passed away on Friday, February 1, 2019, at Upper Valley Medical Center in Troy. Jean was born Aug. 28, 1937, in Baltimore, Maryland, to Stanislaus and Rose (Hartley) Posinski. She moved from Baltimore to Cincinnati, Ohio, and graduated from Our Lady of the Angels High School in Cincinnati. Following graduation from Edgecliff College in Cincinnati, she started her career in education in France and Germany, teaching the children of United States servicemen and women stationed overseas. While teaching on the Army base, she met her husband of 50 years, Richard Albert Fong. He was a first lieutenant in the U.S. Army. They were married on June 26, 1965, at Little Flower Catholic Church in Cincinnati. They moved from Cincinnati to Troy in 1974. Once her five children reached school age, Jean returned to teaching full time. She taught at St. Patrick Catholic School for 27 years before retiring in 2014. After her retirement, Jean continued to work part time providing after-school care for St. Patrick School. She was preceded in death by her husband on Nov. 18, 2015. She also was preceded in death by her parents, her sister Rosemarie Koski, and her brothers Frank Posinski and Jamie Posinski. Jean is survived by five children and their spouses: Chris (and Julie) Fong of Baltimore, Md. ; Steven (and Delaine) Fong of Union, Ky.; Julie (and Brad) Barker of Troy, Ohio; David (and Michelle) Fong of Troy, Ohio; and Jenny Fong (and Jeff Dulle) of Powell, Ohio. She also is survived by a sister, Rita Sieve of Cincinnati, Ohio, and close family friend and “adopted son” Kevin Stewart of Mason, Ohio. She is survived by 14 grandchildren: Christopher Fong of Columbus, Alex Williams of Troy, Kennedy Fong of Union, Ky., Julia Rose Williams of Troy, Caeden Fong of Baltimore, Md., Jordan Fong of Union, Ky., Sophie Fong of Troy, Emerson Fong of Union, Ky., Parker Fong of Baltimore, Md., Saylor Fong of Union, Ky., Maximilian Fong of Troy, Remington Fong of Baltimore, Md., Hartley Dulle of Powell and Elianah Dulle of Powell. She also is survived by many nieces and nephews and grandnieces and grandnephews. 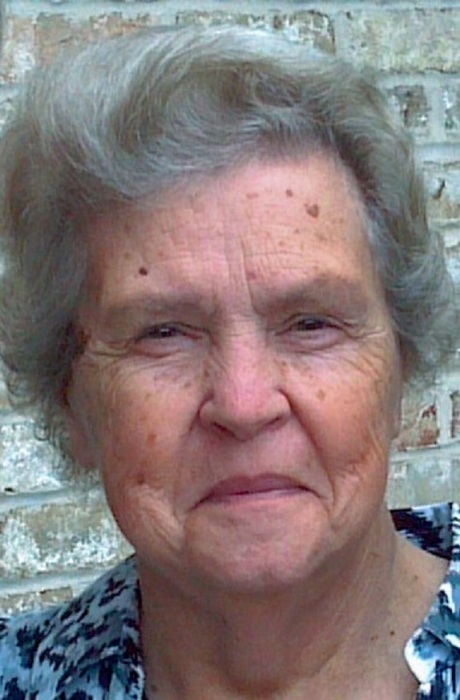 Jean was known by friends and family for enjoying the simple pleasures in life, from the ever-present Pepsi in her hand to her favorite foods of hot dogs, glazed donuts and White Castles. Everyone was welcome at her house. She loved cooking huge meals for her family, their friends and anyone who stopped by for a bite to eat. She loved sports. She played them constantly as a child. She would often talk about her favorite Christmas being the one in which she received a new basketball as her only gift. She never missed a game involving her children or grandchildren. She was an avid Ohio State fan, and one of her proudest moments was being on the field at Ohio Stadium when her grandson Christopher was honored as a senior member of the Buckeyes' football team. She was a beloved teacher at St. Patrick’s, where she was known for her trademark "frown face." She ran a tight ship in her classroom, but also was known for her quick wit and fun-loving side. She loved to travel; learning to speak French fluently while teaching there. She also was an avid reader, often tearing through several thick novels in a few days. What she loved most was simply spending time with family and her best friends in Carolyn Taylor, Jan Mescher and Robin Zahumensky. A memorial visitation will take place on Thursday, Feb. 7, 2019, from 4-8 p.m. at Baird Funeral Home, 555 N. Market St., Troy, Ohio. A memorial Mass will be held on Friday, Feb. 8, at 11 a.m. at St. Patrick Church, 409 E. Main St., Troy, Ohio. Burial will follow at Riverside Cemetery, 101 Riverside Drive, Troy, Ohio. Condolences may be expressed to the family online at www.bairdfuneralhome.com.